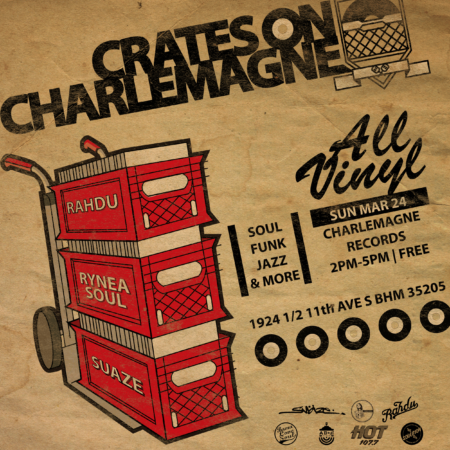 Sunday March 24, we’re setting Spring off and taking over Charlemagne Records on the Southside! Dope DJ sets by DJ Rahdu, RyneaSoul & Suaze take it back to the essence with just two turntables and a mixer. We’re spinning everything from Jazz to Hip Hop & beyond ON VINYL! There’s no cover and it all begins at 2PM. See you there!